Two interesting new apps hit the App Store recently, as payments company Square unveiled a new app for its Caviar restaurant delivery service, while game studio Square Enix brought another classic game to Apple's portables with Tomb Raider II. Caviar is similar to other mobile food-ordering services, like Eat24 or GrubHub, but comes in a slightly more upscale package. Photos of dishes are taken by professionals on Caviar's team, rather than the restaurant itself, and the selection includes some chefs with Michelin stars to their name. Caviar also offers real-time order tracking. The service is currently available in Boston, Chicago, Los Angeles, Manhattan, Brooklyn, Philadelphia, the San Francisco bay area, Seattle, and Washington DC. Caviar version 1.0.2 is available now as a free, 13.8-megabyte download from the App Store. 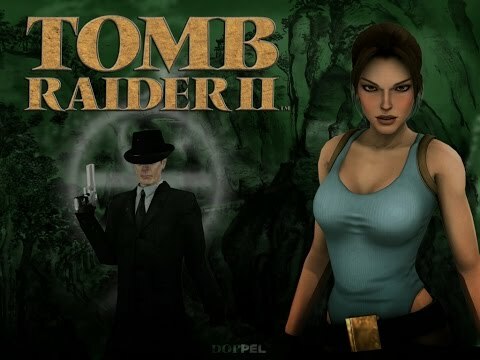 One of the most popular games of all time, Tomb Raider II is the second edition of the stalwart franchise to hit the App Store. Square Enix promise new locations like Tibet and Venice, alongside some 50 unlockable achievements. The iOS version include the Golden Mask expansion pack, and players are able to choose from the full selection of weapons and vehicles available in the desktop versions. Tomb Raider II version 1.0.0 is available now as a $1.99, 307-megabyte download from the App Store. If they release one per year, it'll be 2018 before they even reach that level. At least Rockstar is up to the point where GTA 4 is the next one to be ported to iOS. They usually announce it around this time. The XBox 360 version is 6.5GB so if Apple allowed 4GB in the store, they should manage that.